Having just celebrated their 30thanniversary, Precigrafik, based in Sherbrooke, Quebec, offers their clients much more than just printing. In the past ten years, Précigrafik has seen an increase of over 60 percent in business, mainly through acquisitions. 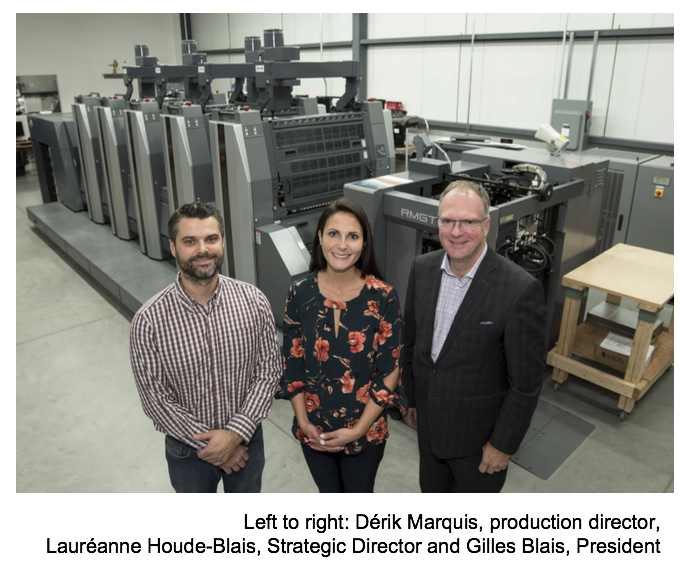 “We moved this past July after realizing that we needed more space to continue to grow, even after twice expanding our last location,” says Gilles Blais, president of Précigrafik. 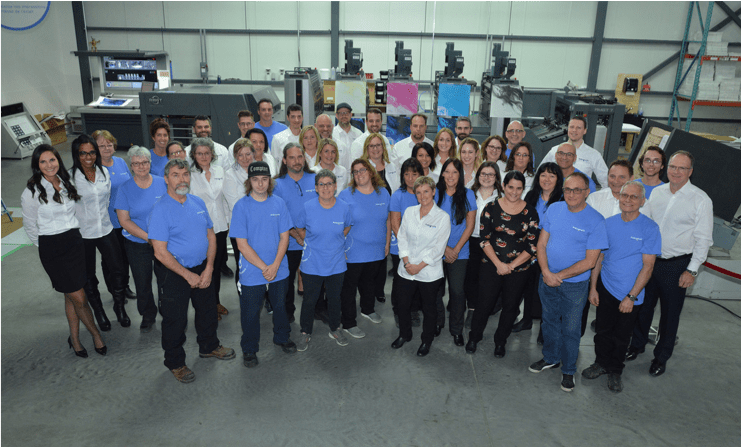 In constant evolution, the company moved in July 2018 to a brand-new building where most of its 22,000 square feet is occupied by a new state-of-the-art printing facility. Requiring an investment of $4.5 million, the new plant has more than doubled the size of the old one and aims to maintain their competitive edge with the company’s client base which represents more than 50,000 Quebec, Ontario and New Brunswick SMEs. “Our new, RMGT 7 Series war machine has increased production capacity by 30 percent while generating impressive energy savings. The press prints at speeds of 16,900 sheets per hour, and since it’s equipped with LED-UV technology, the ink is already completely cured as is reaches the delivery, even at full speeds. As part of Précigrafik’s eco-friendly commitment, the LED-UV system provides a safer and cleaner workspace, it can print with no ozone pollution, heat, odor or powder sprays,” continues Mr. Blais. Précigrafik was also the first company in Canada to actively contribute to reforestation through its association with Trees Canada and counts among the ten pioneers in Quebec to obtain eco-responsible certification. ​“The future of print is based on the ability to stand out and innovate and this is what we constantly offer to our customers,” states Mr. Blais. Précigrafik has evolved and grown to become a leading one-stop-shop for effective and creative strategic printing. The company’s creative approach as well as its ability to realize exceptional projects for their clients has led them to stand out in the industry. For the past two years, Précigrafik has distinguished themselves at the Gutenberg Gala as the winner of the “customer marketing innovation” challenge. The Gala is a yearly event held in Montreal, that celebrates excellence in the Quebec print industry and highlights talent, creativity and craftsmanship.